dyne:bolic is a live cd with a focus on multimedia production which is distributed with an assorted collectionof applications for audio and video manipulation. It does not require installation to a hard drive, and attempts to recognize most devices and peripherals automatically eg. sound, video, TV, etc. and has very low minimum system requirements of a PC with a Pentium MMX (i586) CPU and 64 megs of RAM. Dyne:bolic has been shaped by the needs of media-activists, artists and creators, to be a practical tool formultimedia production and can be extended by downloading extra modules just like SLAX. Linux Mint is one of the most user-friendly Linux distributions on the market. It is complete with a custom desktop and menus, several unique configuration tools, a web-based package installation interface, and a number of different editions, compatible with ubuntu repositories as it is all built over Ubuntu. Everything in Linux Mint just works out of the Box. clonezilla live is an OpenSource clone system (OCS) solution. By cloning we mean you can take images of your own Linux system and keep them stored in case some things go wrong on your system. Using the Clonezilla Live CD and the image you created from it, you can restore your computer to some old state. This proves to be very helpful both for indoor use on small computer systems and also on a large scale. Clonezilla live is suitable for single machine backup and restore. Clonezilla saves and restores only used blocks in the harddisk. This increases the clone efficiency. DamnSmallLinux is just a 50MB live cd which has a nearly complete desktop, and a tiny core of command line tools. It also has the ability to act as an SSH/FTP/HTTPD server right off of a live CD. Plus it also includes and runs all required aplications - all out of the box. This LiveCD is a must try. BackTrack is the most top rated linux live distribution focused on penetration testing. With no installation whatsoever, the analysis platform is started directly from the CD-Rom and is fully accessible within minutes. 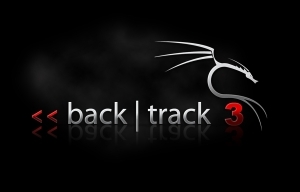 Currently BackTrack consists of more than 300 different up-to-date tools which are logically structured according to the work flow of security professionals. This structure allows even newcomers to find the related tools to a certain task to be accomplished. New technologies and testing techniques are merged into BackTrack as soon as possible to keep it up-to-date. No other commercial or freely available analysis platform offers an equivalent level of usability with automatic configuration and focus on penetration testing.